Approximately 40 percent of food across the United States is wasted each year from farms to individual households, according to statistics provided by Clackamas County's Resource Conservation Department. Food waste will be a topic of discussion at an upcoming event at the Estacada Public Library. 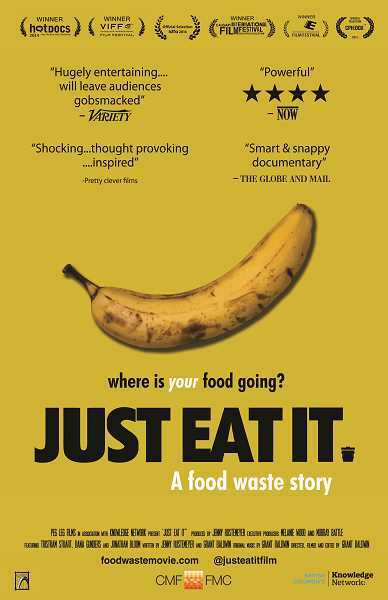 At 7 p.m. today, Feb. 8, there will be a screening and discussion of the documentary "Just Eat It: A Food Waste Story." The county's resource conservation department and library staff have joined forced for the event, which is part of the library's Adult Winter Reading series. Programming for Adult Winter Reading is scheduled through March. Tenille Beseda, a sustainability analyst for Clackamas County, noted that many might not be aware of the ways in which food is wasted. "We all do it. We just don't even think about it," she said. "We can all do a little part to reduce food waste. It's not just throwing away (the money) spent on the apple, but the water, soil and labor that went into it." Beseda added that there are a variety of ways that people can reduce the amount of food they throw away, from ensuring it's properly stored to serving smaller portions. "As a culture, we tend to want to display plenty and display foods at family gatherings," she said. "But do we need to have extras? With lots of leftovers, they're refrigerated and often stay there." Beseda said that often, once you start thinking about the issue, you realize the ways you can reduce food waste in your own life. "For me, I realized that 'Oh, every time I throw throw out the ends from a loaf of bread, that's food waste," she said. Beseda encouraged anyone interested to attend the movie viewing and discussion in Estacada. The documentary follows filmmakers Jenny Rustemeyer and Grant Baldwin, who pledge to quit grocery shopping and survive solely on foods that otherwise would have been thrown away. The film won several awards, including best documentary at the Leo Awards, the people's choice award at the Calgary International Film Festival and best Canadian documentary at the Edmonton International Film Festival. "It's a funny movie. It's about a very serious issue, but they make it real and don't do it in a 'you're a horrible person' type of way," Beseda said. "It brings the realization that there's food, and there's a lot of it being wasted." Adult Services Librarian Leslie Pearson also said she thinks the event will be valuable. "(The documentary) is both entertaining and informative," she said. "Yet, I think the most valuable part of the program will be that in the discussion we will be tying the issue back to how we can reduce food waste in our own homes." What: Viewing and discussion of the documentary "Just Eat It: A Food Waste Story"
When: 7 p.m. today, Feb. 8. For additional information about "Just Eat It: A Food Waste Story," visit www.foodwastemovie.com.